The Digital Signal Processing Lab comprises of test and measurement equipment for doing advanced research and development work in digital signal processing field. The Lab is equipped with complete set of Hardware and Software to perform DSP experiments. This Lab introduces students to DSP design and analysis techniques that are core knowledge for DSP engineers, and which serve as solid grounding for advanced level work in DSP. This lab aims at supporting these teaching and research activities in the area of DSP which are either currently being. 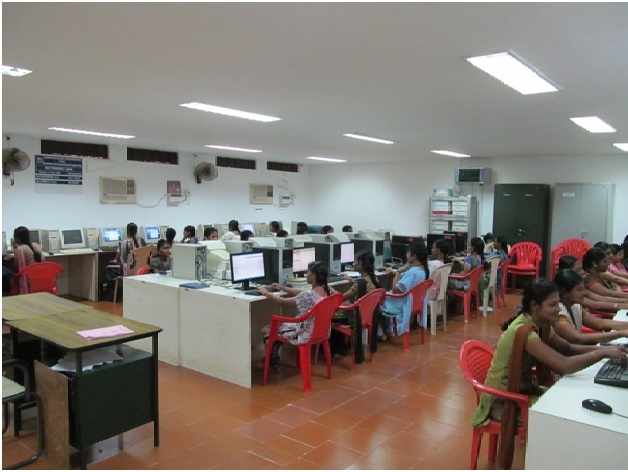 Main objective of this lab is to learn the fundamental analog and digital communication techniques. Along with the concepts of all types of modulation & demodulation, transmitter and receiver parameters can be studied. Since every radio communication system use antennas, it is necessary to measure their parameters. This measurement system is composed by a several antennas, advanced antenna trainer system, fastening support and different antennas. An understanding of the behavior of the analog system is the best preparation for an understanding of the corresponding digital-domain behavior also. 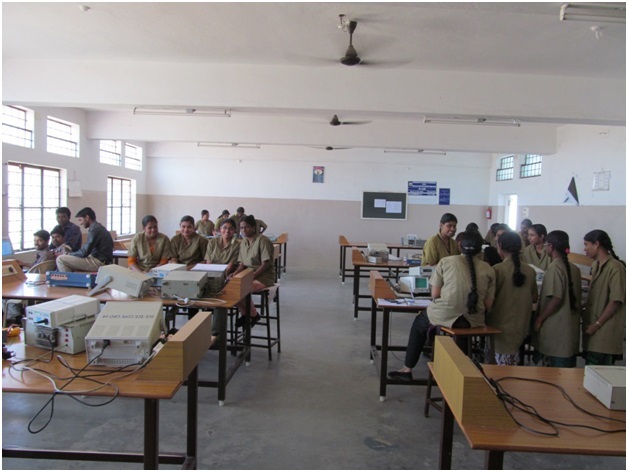 Students can explore the theoretical concepts of basic electronics in a laboratory environment and they learn concepts through practical hands-on experiments. Students can get knowledge on various levels of electronics engineering practices covering from International System of Units, engineering notation and prefixes, definitions of current to transistor amplifier, FET amplifier and feedback amplifiers. These are fundamental for any practical electronic equipment, and in addition, each of these has a counterpart in the digital signal processing world. As with Electronics circuits- I, in Circuits –II and Simulation lab, students will emphasize the use of SPICE along with hands-on experimentation to gain an intuitive understanding of the electronics involved. 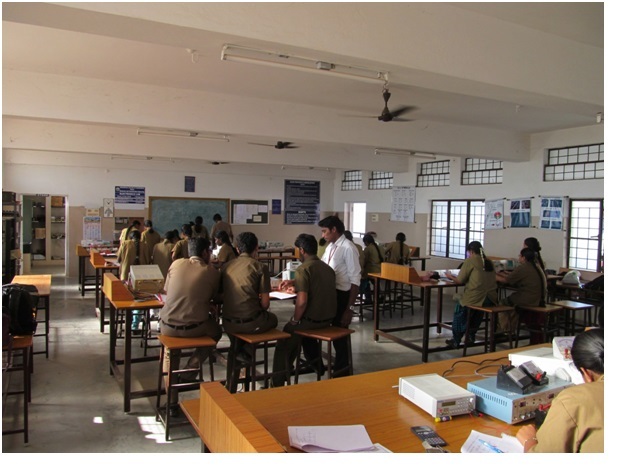 The students are encouraged in each experiment to simulate the lab using SPICE, to hand work a simplified analysis, and to compare these with the observed experimental behavior. Integrated Circuits Lab involves the concepts of both digital logic circuits and linear integrated circuits. 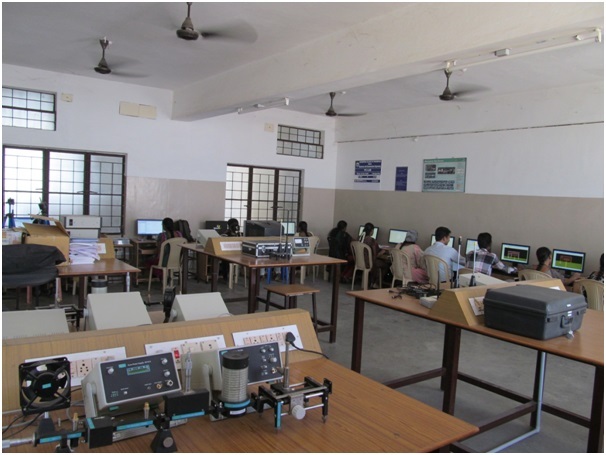 The Lab is well equipped with both hardware and software facilities required for the students to perform necessary experiments .The facilities include Trainer Kits, Cathode Ray Oscilloscope, Signal Generators, IC Tester, Power supplies, Multimeters, and PC's with XILINX and PSPICE Software. 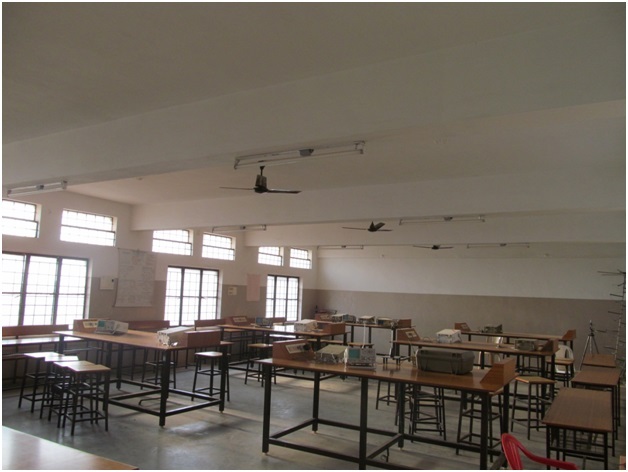 This laboratory is well suited for the students to design, build and test their own circuits to acquire deep practical knowledge. 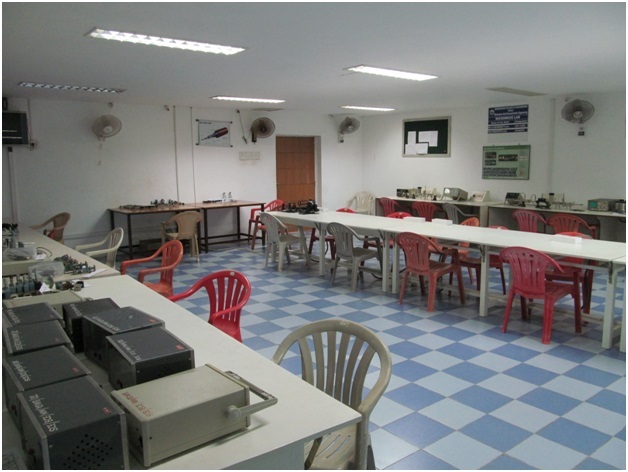 Microprocessor laboratory is equipped with microprocessor kits and interfacing devices. The experiments are designed according to anna university syllabus and hence students will be able to develop 8085, 8086 and 8051 programs. This lab helps to design microprocessors/microcontroller based embedded system to solve a electronic/software problem like temperature controller, Traffic light Simulation, Simple Robot or a simple game toy interfaced with PC. Microwave Lab is equipped with X-band test benches with Klystron power supply & Gunn power supply, J band test bench with klystron power supply and Microwave Power Meters. Network Laboratory motivates the students to study and analyze the conceptual and behavioral aspects of wired and wireless networks. Network lab also motivates the students to learn layer by layer analysis and design of high speed network for wired and wireless applications. Fiber Optics has revolutionized the way the world communicates today. Optical fiber based communications systems are working today in the Telecom, Railways, Defence, Industrial Automation and Medical industries or sectors. Fibre optic training has, therefore, assumed great importance in this scenario of widespread usage of fibre optic technology. Potential entrants into this technological field have to be well versed and equipped to work with large-scale, real world, fiber optic systems. The state of the art optical fiber lab consists of Industry standard optical fiber benches for doing advanced research and development work in the area of optical fiber communication. 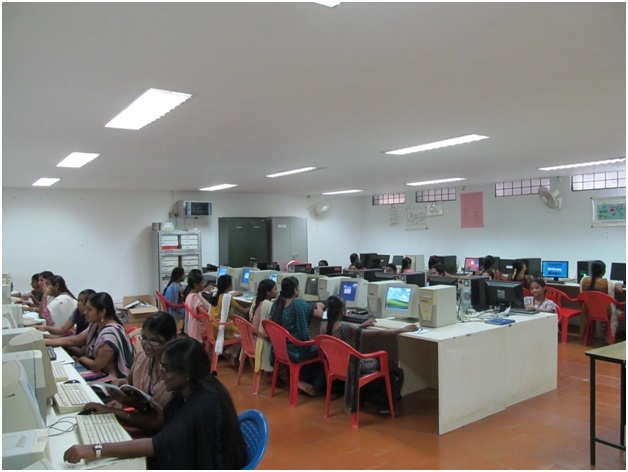 It is one of the major laboratories run by the department of ECE. It was established in the year 2004. Under the guidance of our eminent Dean (R&D) and Principal ,various value added experiments are conducted apart from the prescribed curriculum to illuminate the research attitude of the PG students. It caters the needs of PG students to become a master in Communication systems. 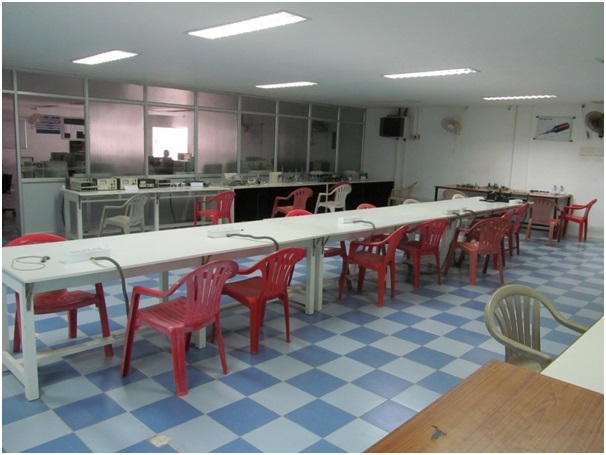 Covering an area of 110 m2, this lab is well furnished with the modern state of the art facilities whose worth is almost around 60 lakhs. The VLSI Lab consists of Industry standard design and implementation tools for doing advanced research and development work in the area of Integrated Circuits. The Lab is well equipped to perform research works. 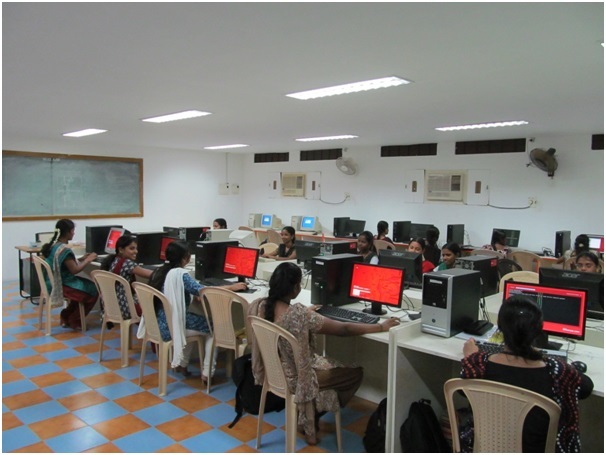 This Lab introduces students to VLSI design and analysis techniques that are nucleus acquaintance for Electronics engineers, and which serve as firm foundation for cutting edge technology in circuit design. This Lab equipped with embedded processor ARM cortex M4 and advance tool IAR workbench with permanent user license. With this IAR workbench tool students can design any embedded product in their own choice of platform. 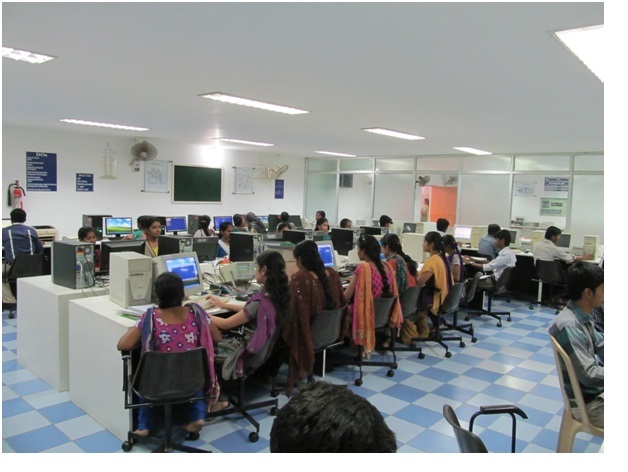 Embedded lab provides basic practical knowledge for developing project using ARM processor. It deals with introduction to ARM, step by step getting started with IAR workbench, programming in embedded C, compile it using IAR workbench, loading the program in target processor using Flash loader demo. This lab also provides familiarity with I2C, CAN bus protocol, USART, Zigbee protocol and interfacing various equipments with ARM processor.